The Blue Lagoon undeniably has a Marmite effect on tourists. Some love this Instagram hotspot, while others prefer the prices of the more secluded Secret Lagoon. But, why does it have to be The Blue Lagoon Vs The Secret Lagoon? 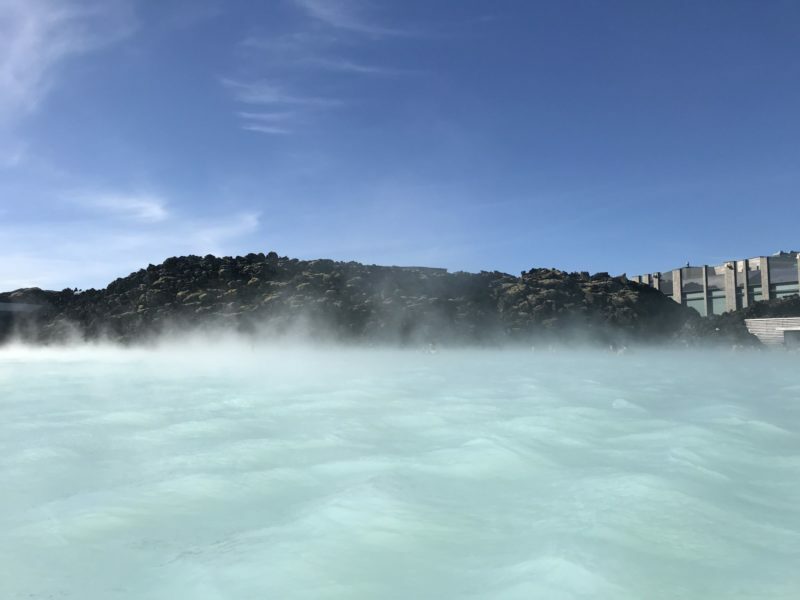 In this post, I will be outlining the pros and cons of both The Blue Lagoon and Secret Lagoon, giving you tips to help you decide which of Iceland’s hot springs you want to visit on your trip to Iceland. Let’s start with the big daddy…The Blue Lagoon. 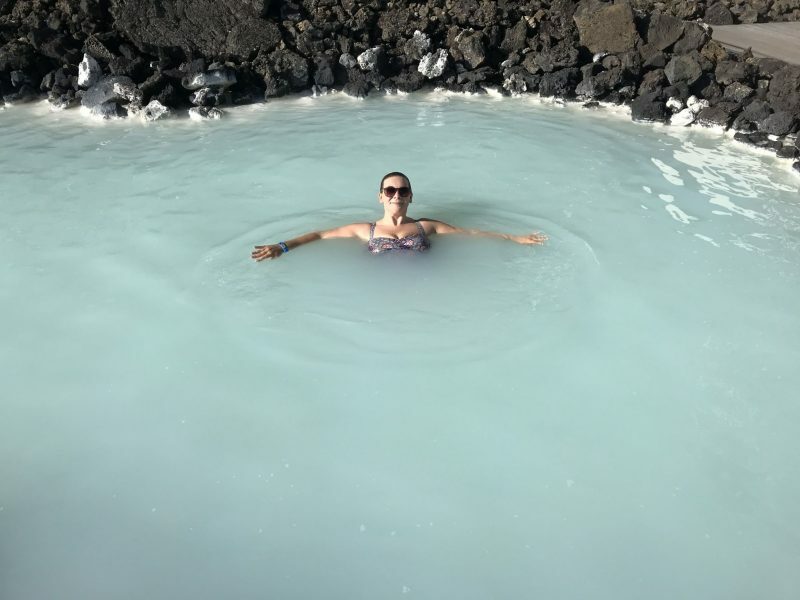 Located on a lava field in the South West of Iceland, The Blue Lagoon is a geothermal spa with milky blue opaque waters known for their mineral and possibly healing properties. It’s the spa that is on pretty much every traveler to Iceland’s itinerary and is certainly as popular as sightseeing the Golden Circle. If you are not aware of The Blue Lagoon, why not? And more importantly, where have you been hiding? Instagrammers from all over the globe have been perfecting their poses at Iceland’s most coveted Blue Lagoon. But whether you have picture perfect curves or not, The Blue Lagoon can be enjoyed by everyone, even those looking to visit The Blue Lagoon with kids. The Blue Lagoon is located so close to Keflavik airport it would be rude not to visit, I’d say. A mere 15 minutes drive will get you from Keflavik airport to The Blue Lagoon and, the close proximity means it’s an ideal thing to do on the day of your arrival to Iceland or before you fly home. The short distance is also perfect if it’s your first time driving in Iceland and want to catch your bearings by driving a short distance from the airport. If you’re lucky enough to be enjoying a free stopover in Iceland, again The Blue Lagoon could not be more ideal. 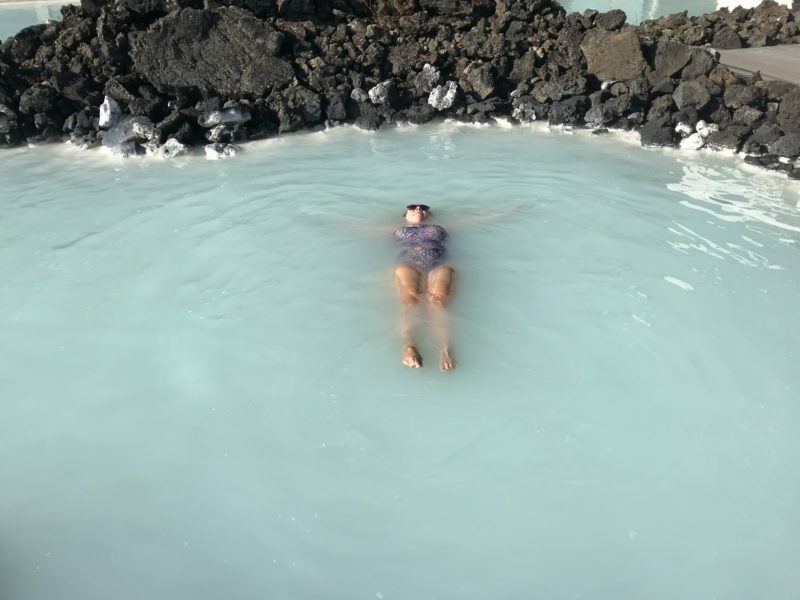 In fact, I’d go as far to say that with a cheap flight to Iceland, I’d much rather enjoy the Icelandic surroundings and hot baths of The Blue Lagoon than a normal spa day in the UK. Did I mention you can now stay at The Blue Lagoon Hotel? I’d quite expected extortionate parking to come with the privilege of visiting this popular Icelandic tourist destination. I was thrilled to find parking is free all day at The Blue Lagoon and I was more than happy to make the most of it! Not Driving? 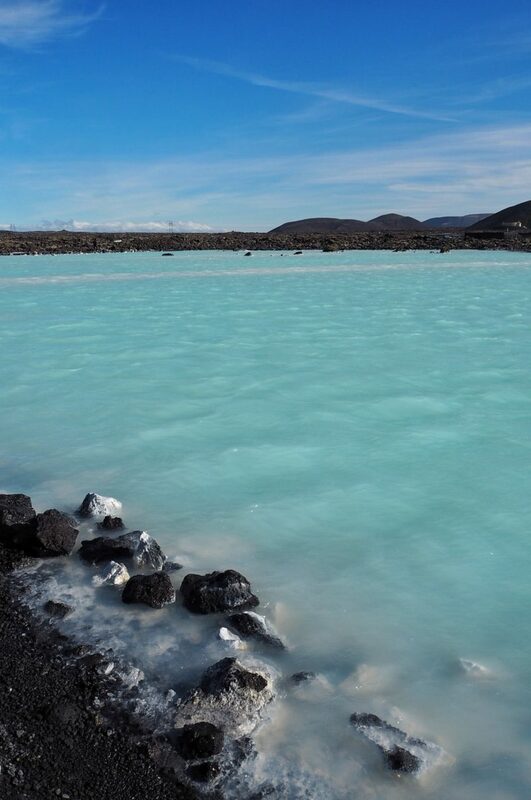 It couldn’t be easier to visit The Blue Lagoon – Take the Flybus to The Blue Lagoon and then back to Reykjavík. It’s easy to get to The Blue Lagoon even if you are not driving as you can take the Flybus directly from Keflavik Airport or alternatively you can catch the Flybus from Reykjavík and back again. The airport-Blue Lagoon-Reykjavík Flybus route is flexible to best suit your needs when visiting Iceland. Plus, as the cost for the Flybus is only £12.30 per person, why not! I guess the best time to visit The Blue Lagoon all depends on you. The Blue Lagoon is a busy location so lunchtime onwards will undoubtedly be a peak time to visit. That said, Adam and I had our Blue Lagoon slot at 12pm (before our flight at 6pm) and we experienced no problems whatsoever. The mist rising from the hot water means you can literally lose people in the crowds and we found plenty of secluded spots to relax. In the Winter season the sun does not come up until around 11am so you can literally watch the sun come up at The Blue Lagoon. With a late closing time of 10pm from 21st August – 1st October, it is possible to visit The Blue Lagoon at night. I mean, who wouldn’t want to experience seeing the Northern Lights from The Blue Lagoon?! Definitely, something I want to see! Booking a crucial time-slot for The Blue Lagoon may make you feel restricted, though you certainly do not feel restricted during your time there. 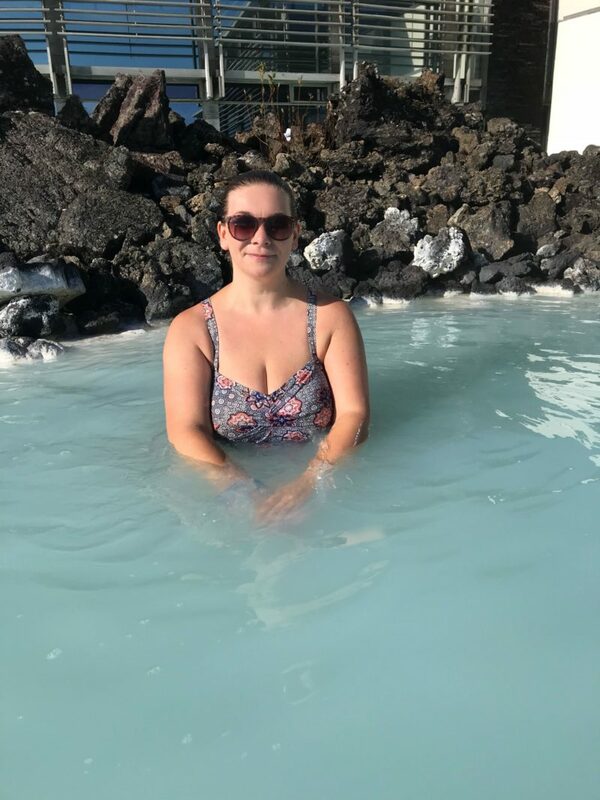 Having spent over 3 and ½ hours in The Blue Lagoon and only leaving due to an impending flight, I could have quite happily spent the whole day lulling around in the water! It was my birthday after all…So my answer would easily be spend the day at The Blue Lagoon if you have the chance. Though, the wrinkly fingers and toes are pretty gross! I love capturing photos of the places Adam and I have visited together. After all, photos are memories. As it was also my birthday during our visit to The Blue Lagoon I was very keen to get some pictures (aren’t I always..!) On more than one occasion, the staff walking around the edge of The Blue Lagoon offered to take our picture. Not only did this save us standing in awkward angles or bringing along a dreaded selfie stick with us, they kindly also recommended places for us to stand and took a number of pictures for us. We got the shots we wanted and could then put our phones safely back in the lockers to fully enjoy the experience. It’s little things like this that go a long way and it provided us with a good overall customer experience. 1. The Blue Lagoon Entry fee is on the pricey side! As I mentioned, I would have quite happily spent the entire day in The Blue Lagoon and so with this in mind, I didn’t find the £61 entry fee (which included a towel, mud mask and free drink) that expensive. Though, those looking to visit Iceland on a budget may find the cost to visit The Blue Lagoon a tad on the expensive side. With this in mind, you may prefer to visit some of the Iceland’s natural hot springs for free or at a lower price. 2. Eating in The Blue Lagoon Restaurant will cost you an arm and a leg! One of the things I mentioned in my 11 Things to Know Before Visiting Iceland for the First Time post is that eating out in Iceland is expensive! It goes without saying, eating in The Blue Lagoon Restaurant is no exception! There are a few dining options at The Blue Lagoon, with Spa Restaurant, Lava Restaurant & Moss Restaurant to choose from. Unless you have a few kronas to spend, I’d suggest eating before you visit as it can be dehydrating being in the hot water so you want to make sure you’re hydrated and fed before you bathe! Though, as I mentioned in my Top Tips for Budgeting & Saving Money Visiting Iceland post, there is a fountain under a bridge at The Blue Lagoon so bringing a refillable water bottle similar to the one below, which retains a cold temperature will save you money. 3. The water at The Blue Lagoon will literally DESTROY your hair! Despite lathering my hair in conditioner, I couldn’t resist laying back in the warm water (big mistake) which left my hair dry and straw-like for days afterwards! Thoroughly rinse your hair in the showers at The Blue Lagoon as your hair will absorb less silica, thus preventing the dreaded mineral build up! As I mentioned, make sure you completely lather your hair in the conditioner at The Blue Lagoon and don’t wash it out…leave it in! 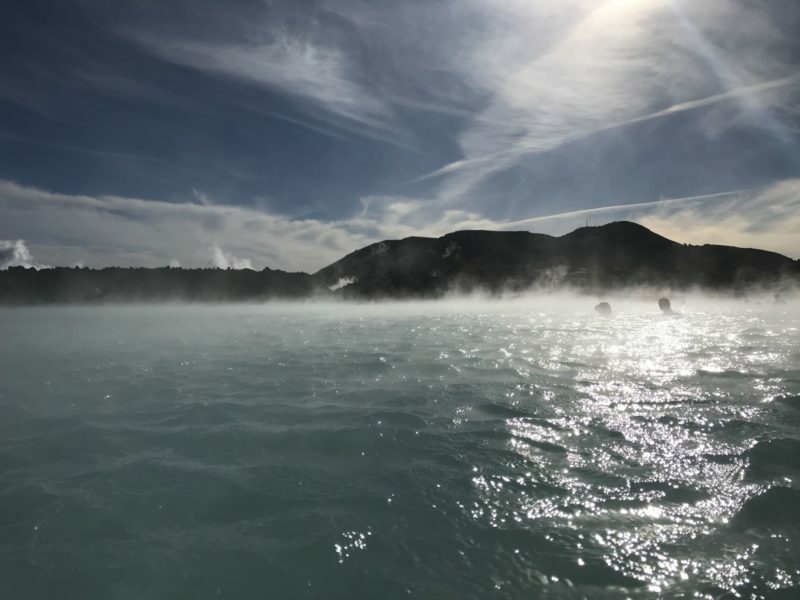 Take a protein free shampoo and deep conditioner with you to use during your time in Iceland to prevent your hair from feeling too dry after visiting The Blue Lagoon. After bathing in The Blue Lagoon, wash your hair a couple of times (straight after) and deep condition the ends, in particular! You can still enjoy all The Blue Lagoon has to offer and, to ensure your hair stays hydrated keep deep conditioning on the days following your visit! I must add, my hair is fine now so perhaps stating that The Blue Lagoon destroyed my hair is a bit of an over-exaggeration! Iceland, the land of fire and ice is ladened with natural hot springs, though The Blue Lagoon is not one of them. The Blue Lagoon is a man-made lagoon, not a natural phenomenon despite it’s lava location. The hot water comes from Svartsengi, a neighbouring power-plant built in the natural volcanic landscape. Drilling for steam and hot water accidentally created what is now known as The Blue Lagoon and the water (which completely renews after 48 hours) is completely safe. 5. The Blue Lagoon gets very busy and booking in advance is a must! As one of the most popular tourist destinations, The Blue Lagoon sure gets busy! In fact, many tourists hoping to visit The Blue Lagoon are often left disappointed as it can often be booked up way in advance. If you want to visit this popular tourist spot, ensure you book your slot ideally a couple months before you go at the very least! Whilst The Blue Lagoon does get busy, what you might not be able to see in photos is that it’s huge! Plenty of room for those who want to get some Instagram snaps, line up for drinks at the bar and those that just want to lull about in the water. The Secret Lagoon (you guessed it) is not as well known as The Blue Lagoon, but as more people discover this secluded spot it surely won’t stay a secret much longer. I was half tempted to save this treasure of a geothermal spa for myself, but ya know blogging and sharing is caring! Before you ask, unfortunately it is not free to visit The Secret Lagoon, but it is much cheaper! Unlike it’s popular rival The Blue Lagoon, The Secret Lagoon is all natural. Surrounded by green moss rocks and geothermal hotspots, there is even a small geysir at The Secret Lagoon which erupts every few minutes! It’s even possible to walk around the grounds of The Secret Lagoon to really appreciate the natural surroundings. If history and heritage are your bag, then you will be pleased to know that The Secret Lagoon is Iceland’s oldest swimming pool and the very first swimming lessons took place in 1909. 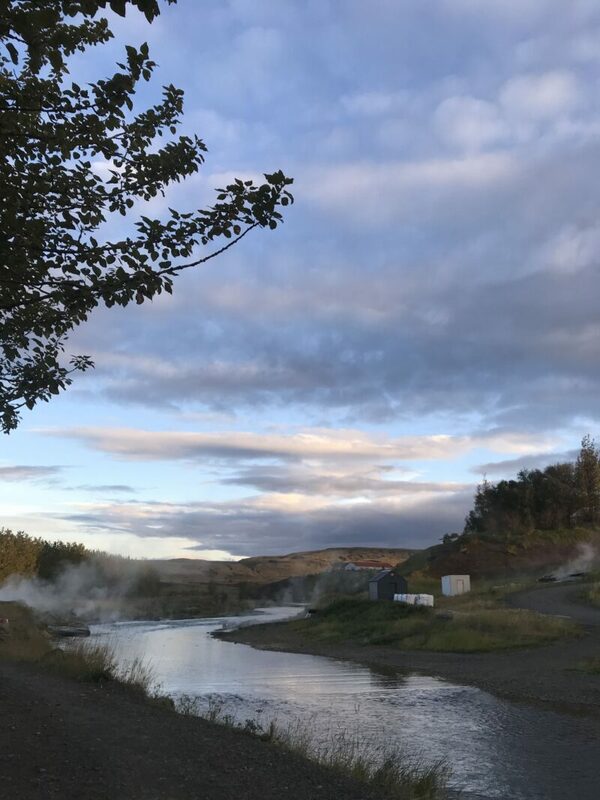 In fact, the geothermal spas and hot springs in Iceland are frequented by locals most evenings after work and it has become something of a tradition for Icelanders to bathe in the warm water. 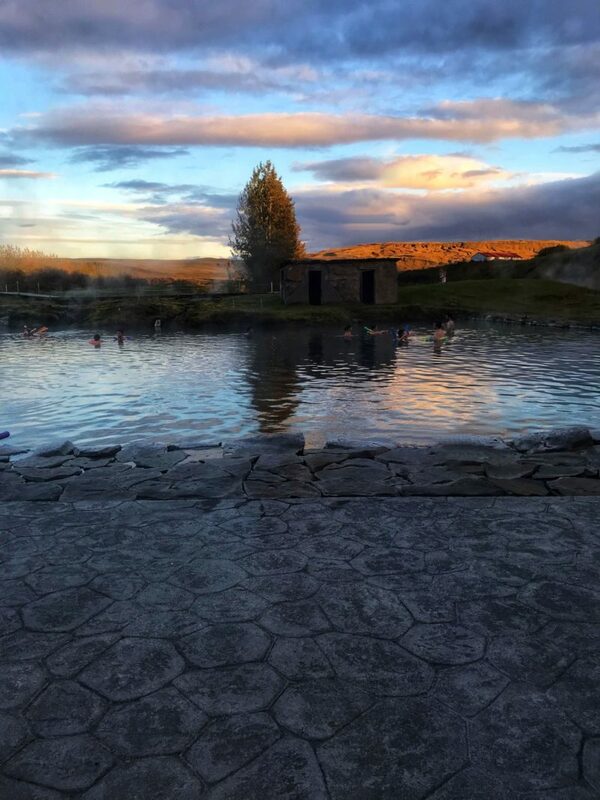 Whilst there are a number of hot springs in South Iceland, The Secret Lagoon’s location close to the main waterfalls in Southern Iceland make it the ideal choice to visit after a long day exploring. 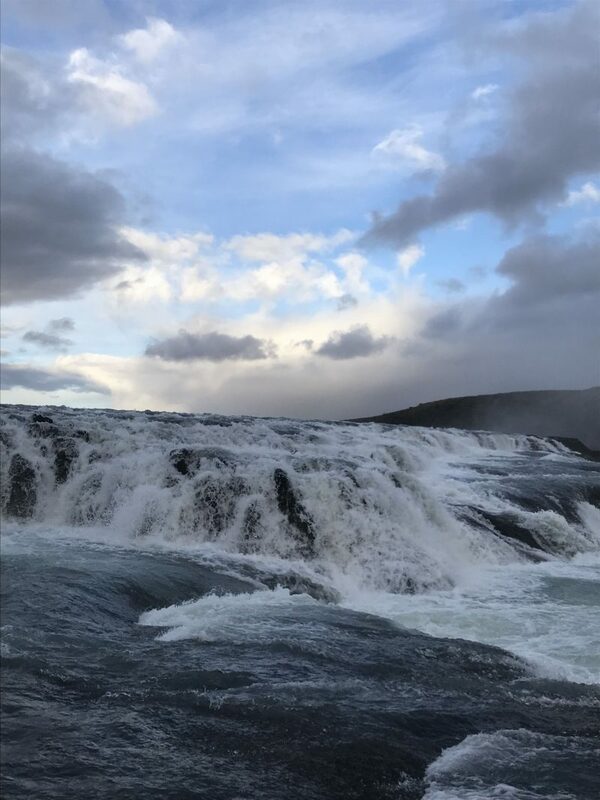 Located in Fluðir, a small village just outside the Golden Circle Route, The Secret Lagoon is close by Gullfoss, Seljalandsfoss Falls and the geysirs. Driving to The Secret Lagoon is very scenic because of this! Nothing quite relaxes you more than laying back in one of Iceland’s hot springs to rest your tired body after a full day exploring. Read my 4-day Iceland Trip Itinerary (maps included) to help you plan your visit to Southern Iceland. 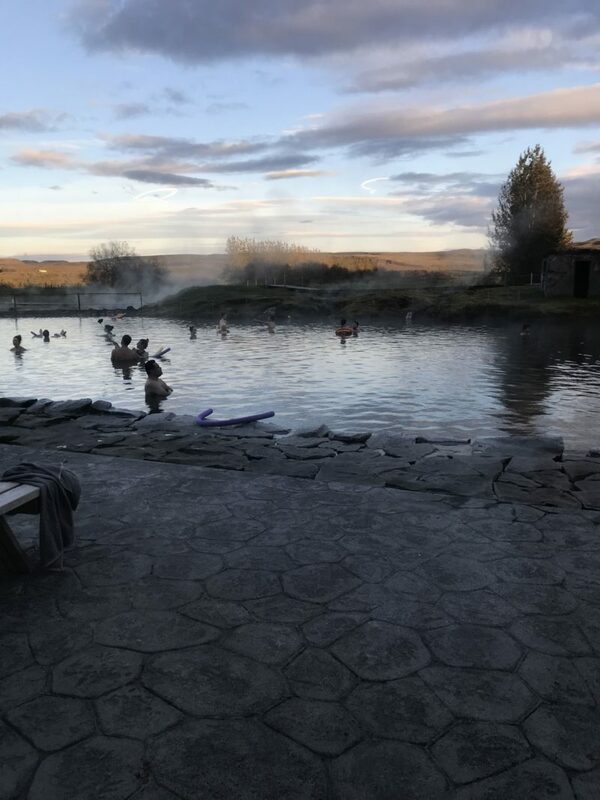 Despite the location of the spa closeby The Golden Circle, you will not see nowhere near the size of crowds that can be seen at The Blue Lagoon. This can only mean uninterrupted relaxation right? Ok, I’m going out on a limb with this one! But, both Adam and I felt the hot springs at The Secret Lagoon were hotter than the hot springs at The Blue Lagoon. Whilst both maintain a temperature of between 38-40 °C, I’m not sure if it’s the fact The Secret Lagoon is much smaller which results in it certainly feeling hotter than The Blue Lagoon. 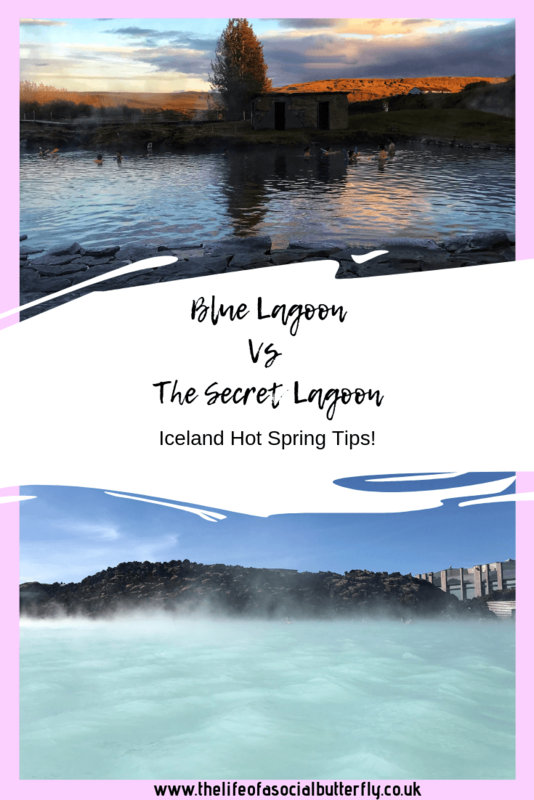 If you visit both The Secret Lagoon and The Blue Lagoon, please let me know which of these geothermal spas you think is the hottest! Whilst it is considered rude if you do not shower naked in ALL the hot springs in Iceland, unlike The Blue Lagoon, The Secret Lagoon does not have private showers. Showering naked to use the geothermal spas can be something of a daunting experience if it’s not something you’re used to or (like me) you don’t have the perfect bikini body. But losing your inhibitions to take a quick shower is totally worth it to swim in The Secret Lagoon. 2. The noodle floats go like hot cakes! The Secret Lagoon is much smaller than The Blue Lagoon so you may be thinking why do you need swim floats?! But, as a novelty and a great way to keep you afloat while you lull about in the water, why not?! Though, seeing people swim with in excess of four noodle floats each is annoying when there isn’t even one left for you to use! Ok, rant over! As you can see, I found it very difficult to find any negatives about visiting The Secret Lagoon. After all, priced at £38 for two, it is a fraction of the price of visiting The Blue Lagoon. Though, as I mentioned at the start of this post, it really doesn’t have to be a case of The Blue Lagoon Vs The Secret Lagoon. After all, I enjoyed visiting both so why can’t you? I think The Blue Lagoon and Secret Lagoon are both worth a visit. I could literally feel my muscles relax and all the pain I had experienced in my shoulders from the days before melted away from visiting both these hot spas. In fact, I have been having withdrawal symptoms ever since! Have you visited The Blue Lagoon or The Secret Lagoon? What did you think? 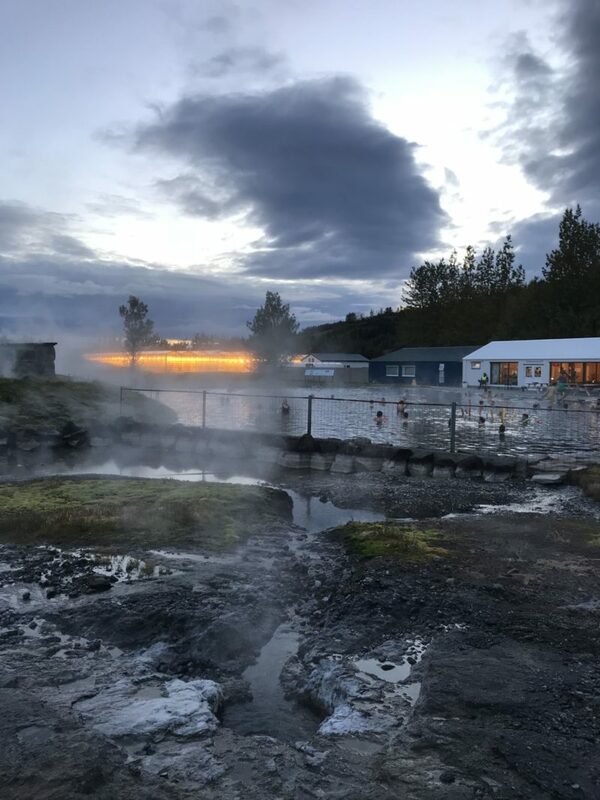 I hope you found this post useful for choosing which geothermal hot spas you want to visit in Iceland. If you enjoyed this post, please share it using the social media share buttons (on the left or underneath this post.) Every share helps my little blog be seen by a wider audience – let’s share the Icelandic magic! Looking for somewhere to stay in Iceland? Read my review of The Swan House Apartments. Thanks for sharing it. I’m planning to visit iceland soon and this was a really nice tip 😊 Great read. I saved lots of blog posts from Pinterest, which really helped me. 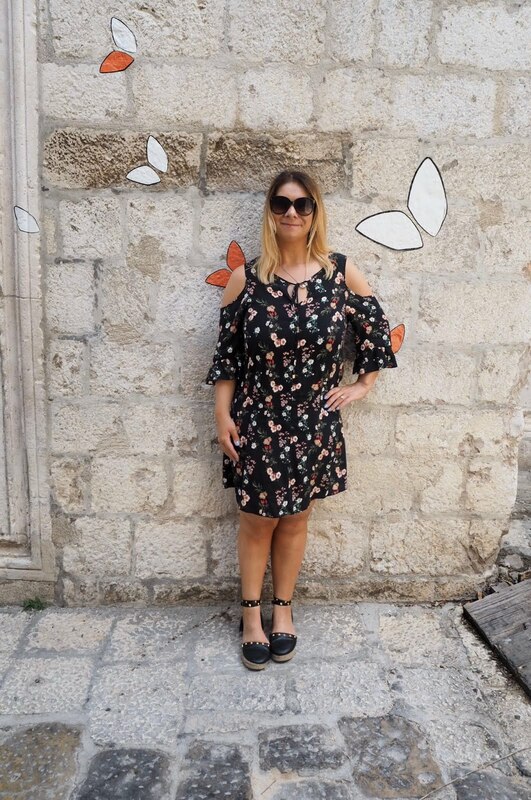 I’ve got around five posts from my trip – hopefully, they will be useful 😃 When do you go?